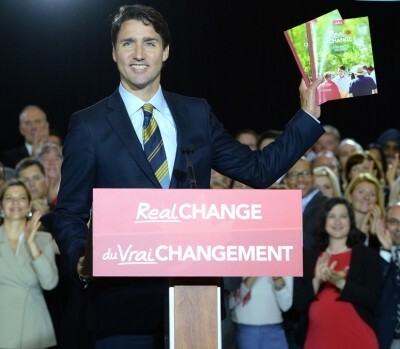 Justin Trudeau waves his latest comic book! In an effort to make himself even less relevant than he was yesterday Justin Trudeau released his list of reforms from the 90’s that include such items as gender parity in cabinet and bilingual judges. So much for work for merit. This comes from a guy who promised open accountable nominations and has delivered anything but. His team leads the league in newly nominated candidates walking away. At the same time Tom Mulcair was telling a business lunch that he will cut small business taxes. This election will be between the Stephen Harper led Conservatives and the Tom Mulcair NDP. Trudeau wont be a factor, he proved today he’s not up to the task.